Live the “suite” life with both a Jacuzzi and fireplace. 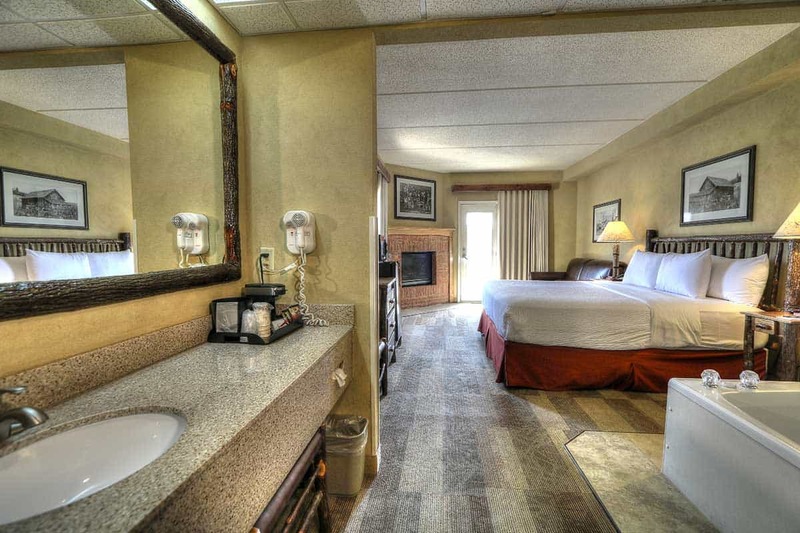 Our King Jacuzzi/Fireplace Suite is the key to ultimate relaxation. Soak in the Jacuzzi before warming up in front of the cozy gas fireplace. With an open floorplan and interior corridor, you’ll have plenty of space. Browse a full list of the room’s amenities below. With a King bed and sleeper sofa, this room sleeps 4 guests comfortably. Breathe in the fresh air and enjoy the view on your own private balcony.